Telling our stories is a fun and interactive website where you can find everything you need to tell the stories of YOUR community. 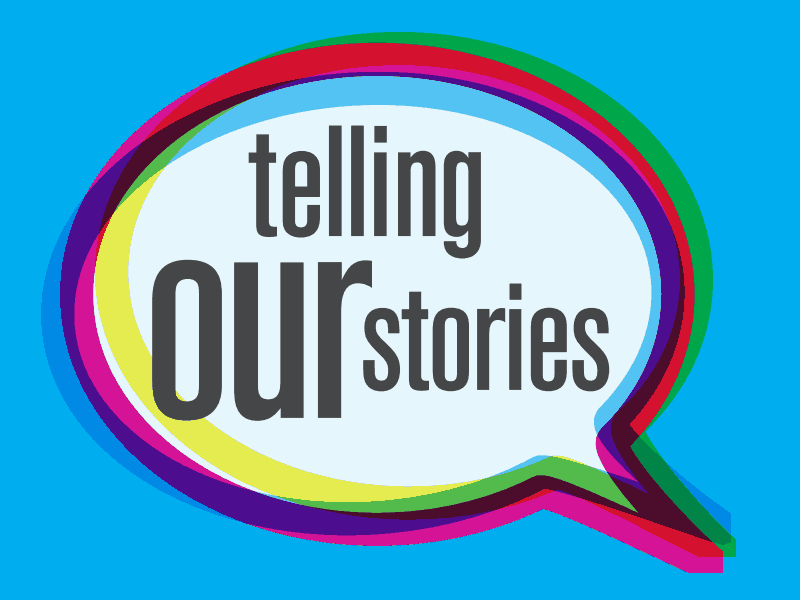 Whether it’s a blog about your sports team, a CD of family interviews, a mural in your classroom, or a photo journal of your fashion club, you’ve got stories to tell, and people want to hear it! Recording stories is exciting, and easy as 1-2-3. “Telling Our Stories” provides the resources for getting started, sharing your finished product, and even preserving your materials for future generations. We’ll help you know your options and make good decisions every step of the way. The tools of recording and publishing should be accessible to anyone who wants to tell their personal story, the stories of their family, or community. But the resources are scattered all around: in libraries, historical societies, schools, and the internet. We made this Toolkit to be a user-friendly hub that connects beginners and experts alike to the vast network of storytelling resources. We want to make the wide variety of materials and resources that are already accessible to you so you may get on with the fun part of telling your stories! Everyone has a story worth telling, so why not record it and share it with others? Let’s get started! I teach research methods to graduate and undergraduate social work students living in N. CA and I might use this site as part of an assignment (with permission). @ Jen. We’re pleased that you are interested in the tools on this site. Please encourage your students to let us know if there are particularly valuable components, or additions we should consider making. There are so many wonderful tools out there. Feel free to recommend them to us and other followers, by making comments here, and elsewhere on this site. Keep in touch! I would like to record what i know of my maternal grandmother’s story. i am also interested in recording information about handwork (crochet, knit, tat).